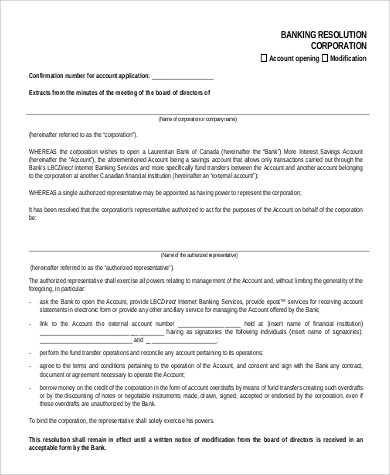 Corporate resolutions are an important part of documentation to record every major decision made by the company board of directors or its shareholders. 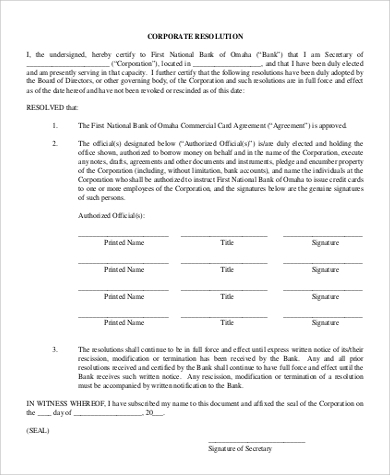 The Securities and Exchange Commission usually require corporate resolutions before companies can legitimately operate, and banks need them when the companies open an account or apply for a loan. 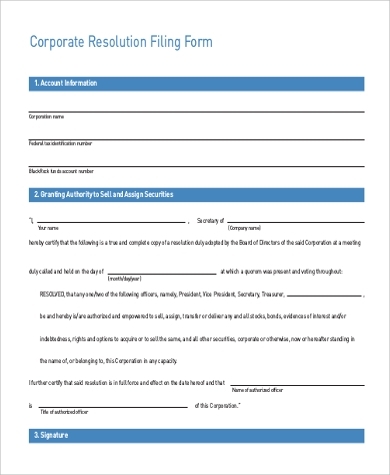 Our downloadable Sample Forms for corporate resolutions cover most any kind of resolution that members of the board or shareholders can easily inspect, scrutinize, or modify. 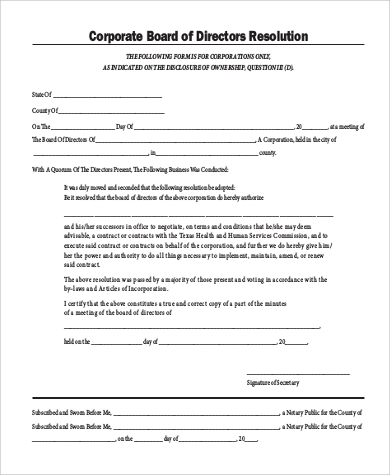 We also have blank corporate resolution form samples that can be edited according to the terms of the resolution being decided upon. These are all free for print or downloading in both Word Doc or PDF forms. 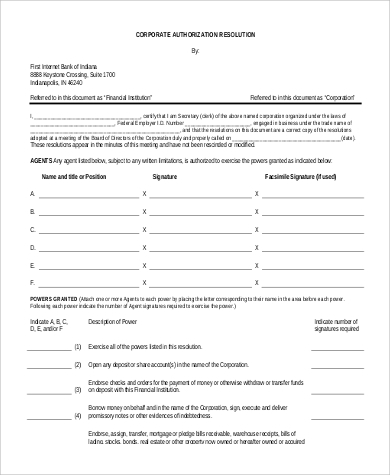 We also have free downloadable Sample Transmittal Forms for sending important company documents. 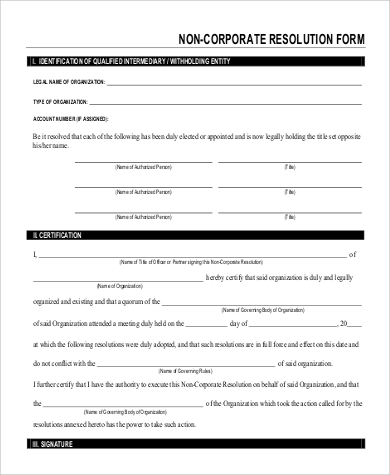 These forms have outline samples to describe the contents and purpose of said documents that are being sent. 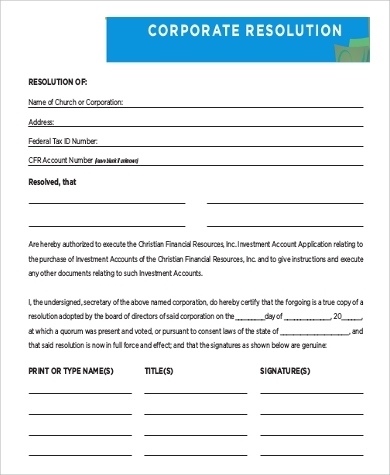 Corporate resolution forms are generally kept on the company’s files, but depending on which country you are in, the Securities and Exchange Commission (SEC) may require bylaws and regular resolutions to be submitted annually. The SEC usually requires its own copies of resolution documents from each company for its own legal purposes. 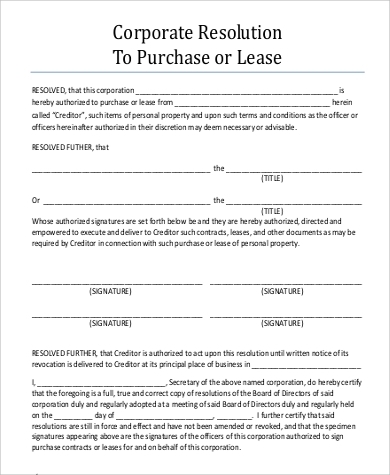 Similarly, when a company decides to cease operation, a resolution to dissolve the corporation must also be produced and submitted to the SEC. 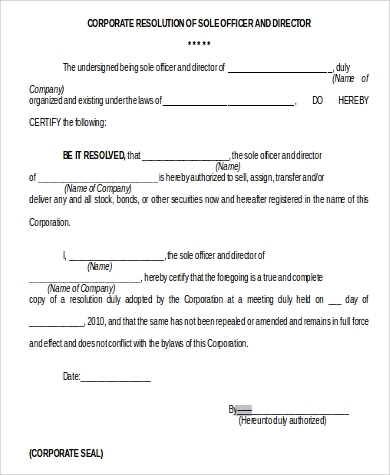 All pertaining documents including board resolution may be used as evidence to be submitted, if mandated by a court, as evidence against a company should any legal action arise during a company’s operation even after the corporation has been dissolved. 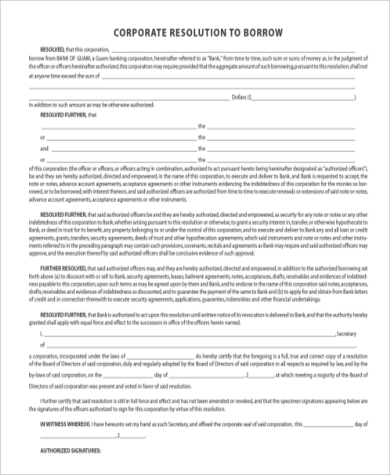 On a separate topic, we also have Sample Referral Forms should the need arises for any company or individual who may wish to view an example of such forms. These are also available for print or download in Word Doc or PDF file.